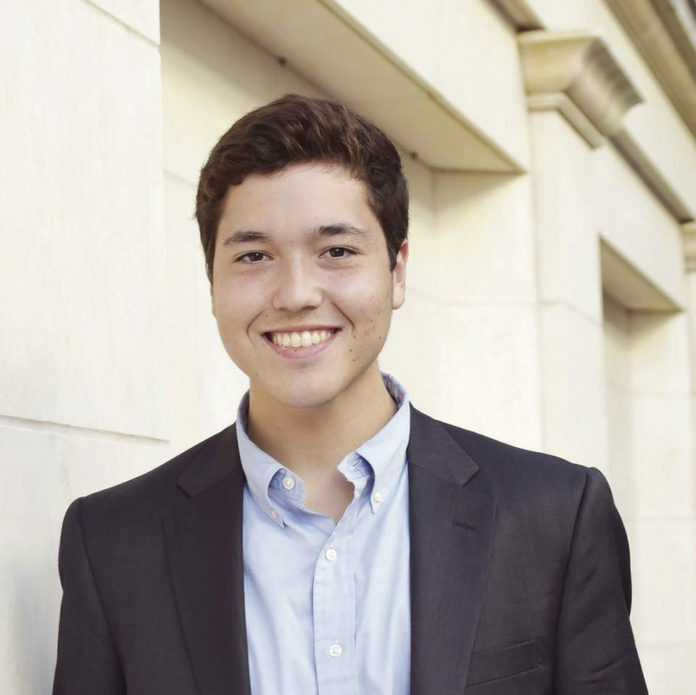 Samuel David Garcia is a student at Harvard Law School and a 2016 graduate from the University of Texas at Austin. He is from the Rio Grande Valley. In the past, economic opportunity in the Rio Grande Valley grew at an incredible pace as trade between the United States and Mexico flourished, but as domestic and global affairs have shifted, trade with Mexico has unfortunately become a source of economic volatility for the Rio Grande Valley. There was once a time when busloads of Mexican citizens would arrive at La Plaza Mall in McAllen for daylong shopping sprees. These shoppers often planned on buying so much that they brought empty suitcases to fill with their purchases from the mall and surrounding stores. Expecting this trend to continue, La Plaza Mall invested in a multi million-dollar expansion, prior to the election of Donald Trump, which was just completed late last year. Unfortunately, the number of buses and overall shoppers coming to McAllen from Mexico now has dwindled significantly after the election of Trump who has repeatedly espoused negative rhetoric about Mexico. In fact, some reports have the City of McAllen losing up to 6.4 percent of its sales revenue after the #AdiosMcAllen campaign started in Mexico in retaliation to inflammatory remarks from President Trump. It is not just La Plaza Mall that is suffering. Countless businesses in the RGV rely on traffic from the mall, primarily hotels. One Rio Grande Valley hotel owner noted that, over the past two years, he has experienced a 40 to 45 percent drop in Mexican leisure visitors. And the CEO of Marriott International, Arne Sorenson, mentioned in an interview with Fortune magazine that the downturn of overall travelers into the United States might have begun with Trump’s negative comments about Mexico. However, Trump is not only to blame for the decline in Mexican revenue. Violence in Reynosa, volatility in the value of the Mexican Peso and the Texas Legislature have all contributed to the economic decline. In 2017, the Texas Legislature passed Senate Bill 4 (SB 4) which enables law officers in Texas to ask anyone (victims, suspects, and witnesses) their immigration status if they believe it to be important to their investigation. Although billed as a way of “securing our border,” SB 4 was no doubt created and passed in order to appease far-right interests in the Texas Legislature. Its passage, however, seems to only have accomplished two things: The immediate alienation of many would-be Mexican tourists to the state, and a reduction in contract laborers who effectively keep Texas running. The pinch of an already stretched labor force was felt heavily during rebuilding efforts following Hurricane Harvey when a shortage of construction workers was reported throughout the hardest hit areas. Although so many Texans have been persuaded to believe that Texas as a whole would be better off with harsh immigration policies, that appears to be far from the truth — especially for businesses in Texas. As border regions, like South Texas, suffer and cities find themselves in massive need of laborers, like Houston, it may be time for us to acknowledge just how intertwined the health of our state’s economy is with Mexico and finally make an effort to grow with them.